Plastic pulley with metal clamp, includes knob for tightening. 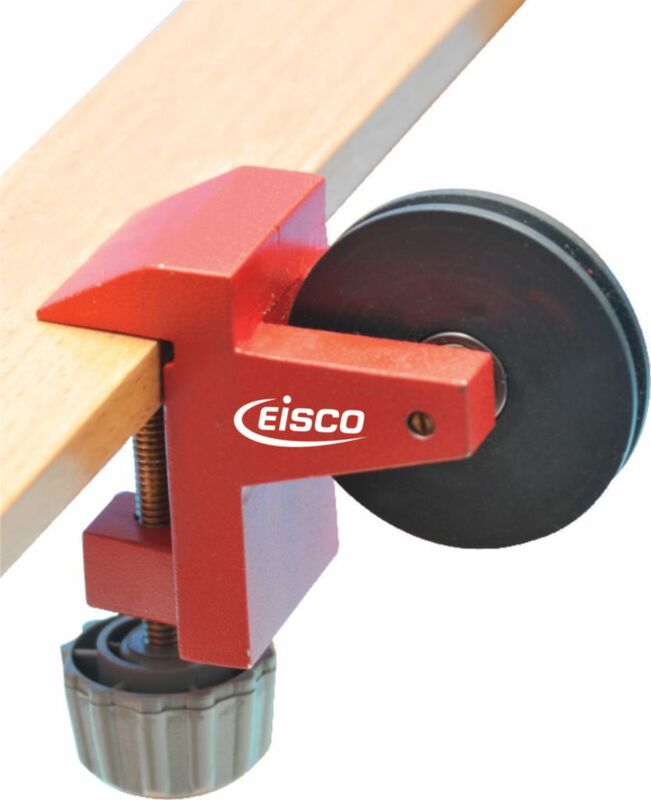 Clamp has a 45 mm plastic pulley with bracket for bench mounting up to 25mm thickness. Can be used with a force table as well. Wood in picture not included.